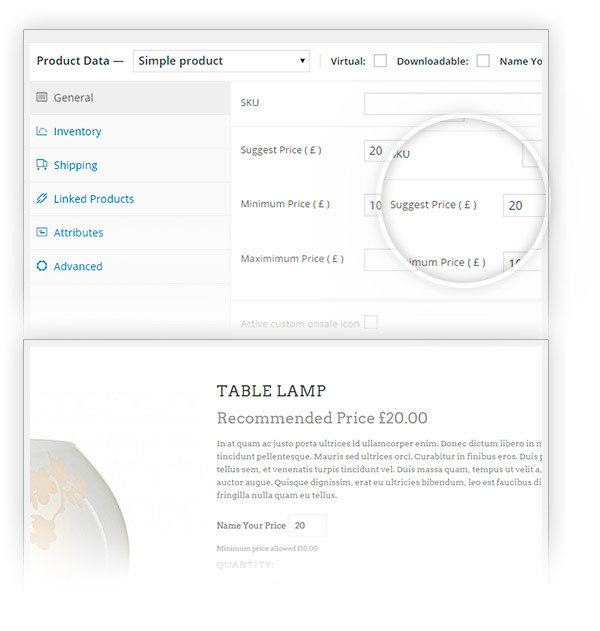 YITH WooCommerce Name Your Price Extension: WooCommerce allows you to suggest an ideal price for your products to your users and give them the freedom to name their own. 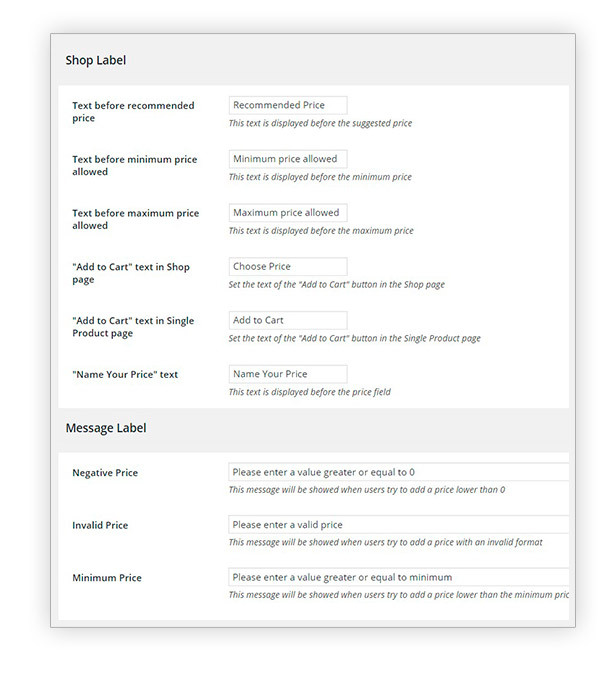 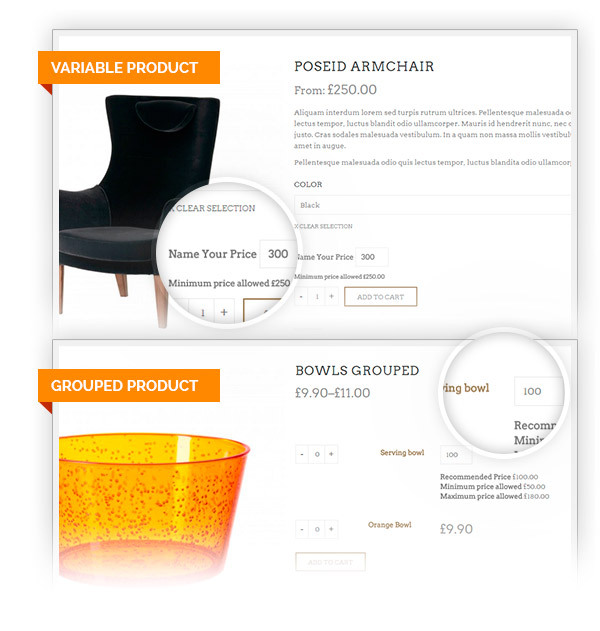 With YITH WooCommerce Name Your Price, you will offer your users the freedom to pick a price, in order to understand the true market price, or simply having a different approach to sales. 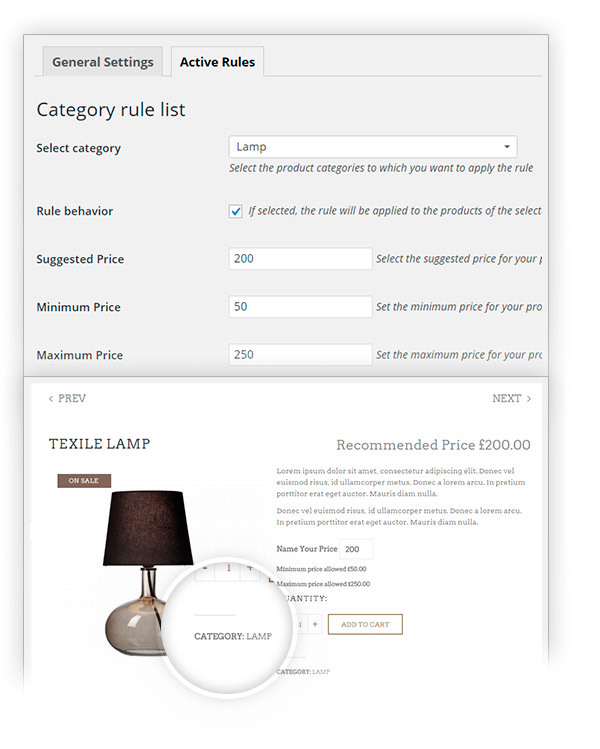 The plugin offers you also to suggest an ideal price to users, and to set a minimum and maximum price for your products.